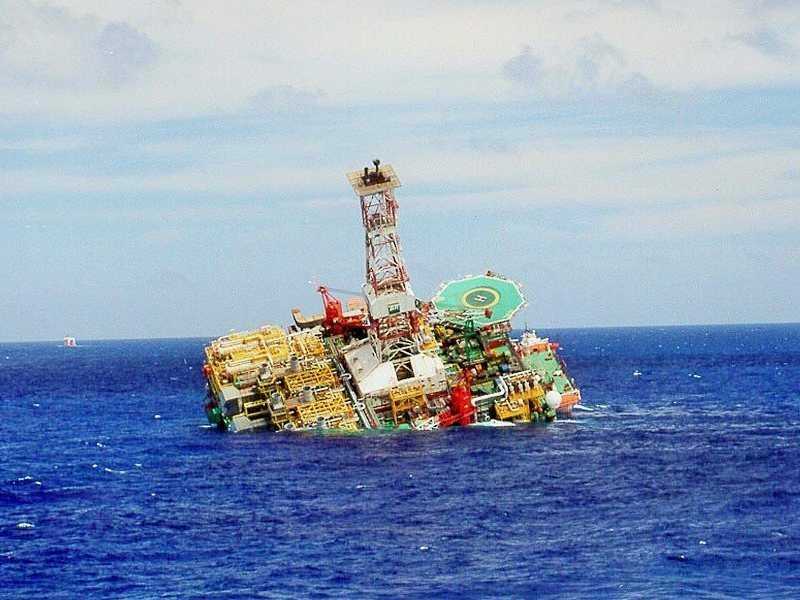 On Thursday, oil prices crashed. 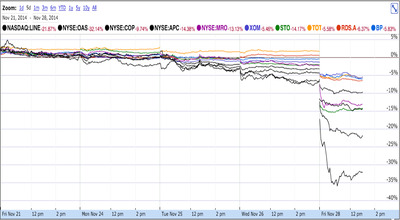 And on Friday, shares of oil companies around the world followed suit. All areas of the oil space, from international behemoths like BP, to state-controlled companies like Statoil, to US shale producers like Whiting and Kodiak, are getting hit. 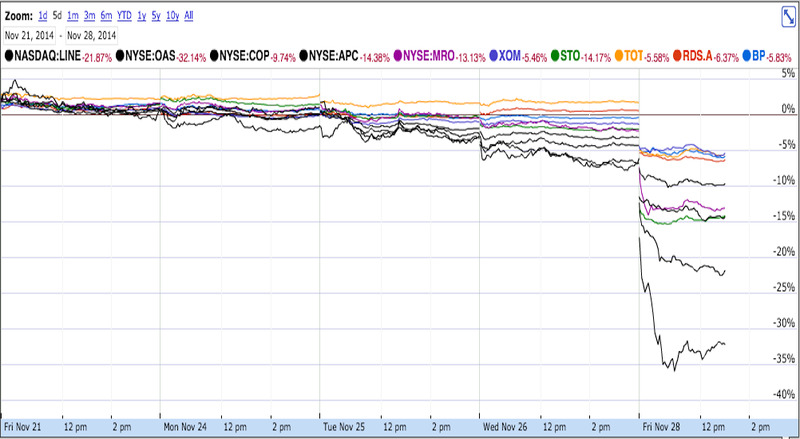 Here’s the incredible chart of these stocks just getting clobbered. On Thursday, while the US markets were closed for the Thanksgiving holiday, OPEC, the 12-member oil-exporting cartel, announced it would not cut production. Many in the market had expected OPEC to announce a production cut to combat the global supply glut that has been blamed for some of the massive decline we’ve seen in the price of oil over the past several months. Instead, OPEC said it would maintain its current production level of 30 million barrels a day, which has been in place since December 2011. OPEC said it would meet again in June 2015. On Thursday, West Texas Intermediate crude futures fell below $US70 for the first time since June 2010. Thursday’s one-day drop in WTI was also accompanied by a drop in Brent crude prices, and both benchmarks fell more than 6% in a 24-hour period. On Friday, crude prices were collapsing further, falling to nearly $US67. On Thursday, Russian oil tycoon Leonid Fedun told Bloomberg that OPEC’s decision not to cut production is part of an effort to flush out US shale producers, which have ramped up production significantly in the last few years. Fedun said that the US shale boom is “on par” with the dot-com boom. In a post on Business Insider on Thursday, former PIMCO CEO Mohamed El-Erian wrote that while the market’s reaction Thursday indicated clear surprise at OPEC’s decision, the market shouldn’t have been shocked. “OPEC has a history of opting for strategic rather than tactical decisions; and, this time around, it may have done so from a position of caution rather than overwhelming strength,” El-Erian wrote. Bur regardless of how the market should have prepared for OPEC’s announcement, the result was clear: oil companies paid the price.